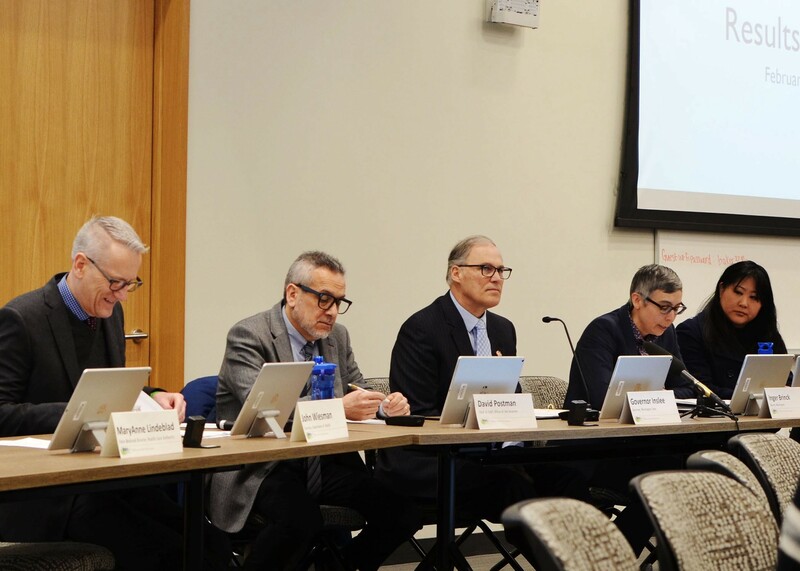 Health officials offered a variety of interventions to lower infant mortality at last week’s Results Washington panel, which focused on the disparities among the Native American and African-American communities. On average, approximately one Washington infant dies every day, which means the infant dies before their first birthday. Causes include premature birth, sudden infant death syndrome and low birth weight. While Washington ranks fifth lowest in the nation for overall infant mortality, the rates in Native American and African-American communities in the state are higher. Data shows this disparity across racial and ethnic lines. 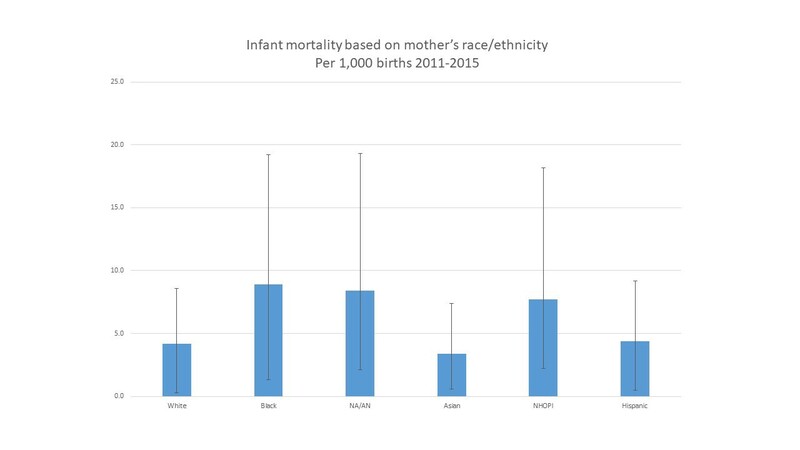 Research on infant mortality and maternal health among black women point to several factors, which includes the stress of racism and sexism, said Results Washington director Inger Brinck. “To put it bluntly, it’s very stressful being black in America,” Brinck said. Gov. 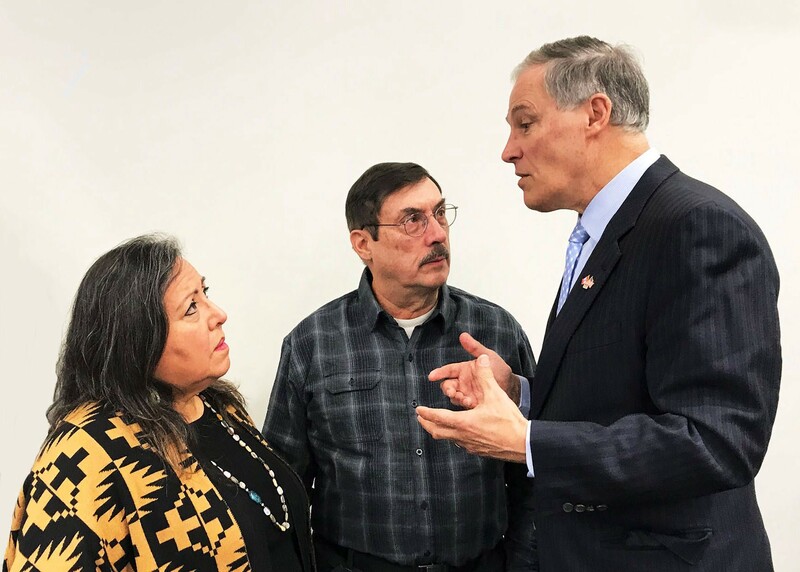 Jay Inslee attended the panel and asked experts what the state can do to improve infant mortality outcomes, specifically among these two communities. “The fact that we still have racial disparities is painful for us,” Inslee said. The effects of racism affect the birth outcome of communities of color, said Dr. John Wiesman, secretary of health at Washington State Department of Health. Basically, there aren’t enough support systems in place to combat the stress of racism. Among Native American and Alaska Native communities, the leading cause of death among infants is sudden infant death syndrome. For African-American infants, the leading cause is low birth weight or pre-term birth. The panel recommended a variety of overall interventions such as breastfeeding, safe sleep practices, increased health workers in communities and better access to health care. But the two interventions that could cause the most positive ripple effect are universal home visits and building up communities of trust. The Department of Children, Youth and Family’s strategy for addressing infant mortality is universal home visits, Ross Hunter said. Hunter, secretary of DCYF, said these visits lead to healthier birth outcomes. Inslee proposed a bill this year that would allow parents to choose if they want a nurse to visit their home to offer advice, resources and best practices as the parents care for their newborn. When the state offers the service universally, Hunter said about 85 percent of families voluntarily participate. Vickie Ybarra, director of analysis and research at DCYF, said home visits produce better outcomes and improves child development. “If we can intervene early in the life of a family that has disadvantages, during the sensitive time of brain development for baby and role switching for parents, then these differences can support the child through the rest of childhood rather than intervening later,” Ybarra said. Stephen Kutz, American Indian Health Commission chairman, said he started doing home visits as a nurse in 1981 with military families. He supervised it for 13 years and emphasized the importance of nurse home visiting. That’s because tribes have historical knowledge to help them know what works, he said. And each tribe is different. Hunter said there are 10 different models of how home visits are set up in a Washington community. Research supports each of the 10 models’ effectiveness for the populations they serve. This is important because each community differs in their approach about what works best for their needs. “It needs to be culturally relevant in the community or no one is going to take you up on it,” Hunter said. When parents participate in this program, parents don’t just come away more resources on how to be successful with their children — Hunter said people’s behavior changes. Washington State Health Care Authority Director Sue Birch said she had experience managing a similar program in Colorado. As the first national site to do rural nurse home visitation, she said she still gets letters from families who nurses visited in the 1990s. The letters share how those children who benefited from the program now have successes like higher educational attainment, no tobacco use and not being in trouble with the law. This work plays out for generations, she said. Hunter echoes how families who participate in programs like this show overall improvement. During the panel, he cited a study that shows how child welfare involvement calls — which often involve child abuse and neglect — would reduce at least 31 percent. 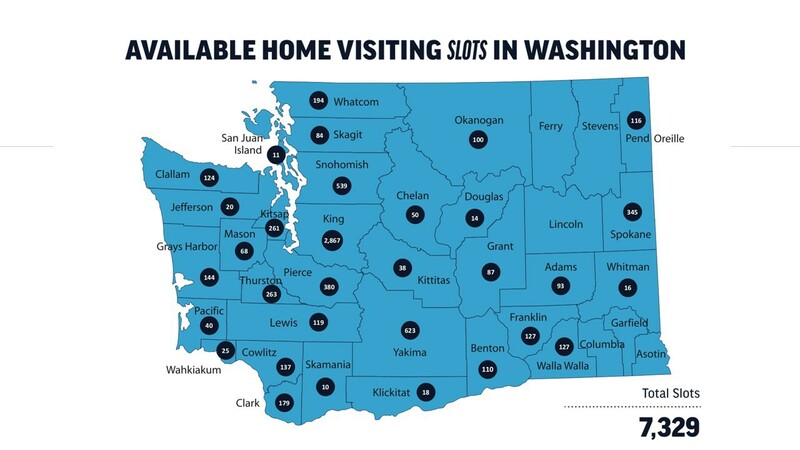 Home visits — whether it includes a doula visit or a community health worker offering resources — help build a much-needed connection to Native American and African-American communities. And one of the most positive things that comes out of these new connections is trust. Historically, both of these groups generally mistrust the health system and the government, said Rabeeha Ghaffar, prenatal women’s and adolescent health program manager at DOH. Ghaffar gave one example of these damaging interactions, citing the unethical Tuskegee Study where doctors did not give penicillin to black men who had syphilis even though penicillin was available. John Tuttle, deputy office director at DOH, shared another example of Native American groups generally mistrusting government after tribes were forced to attend cultural appropriation schools. “Current and institutional racism has led members of these populations to be less likely to access care from these medical providers,” Tuttle said. He also said these two groups don’t often see themselves visibly represented in health care providers, which leads to further mistrust. There are relatively few black and Native American gynecologists, for example. Other factors associated with lower socio-economic status also create barriers for women accessing care. These include lack of transportation to medical appointments, not able to take time off work, lack of childcare for additional kids and the inability to pay co-pay costs. Tuttle said it doesn’t help that health care “deserts” still exist in urban areas — neighborhoods where no nearby providers are available. Environmental factors also pose risks for many Native American and African-American communities. These include lead and pollution exposure, lack of safe communities and limited access to appropriate food options during pregnancy like foods with folic acid. Kutz said young parents need interactions with people they trust because members of these two groups may not have trust with people in their lives — even their families, he said. Getting medical messages out is one thing. Reinforcing those messages over time through a trustworthy source is really going to make the difference. There are many ways to help bridge the gap and build trust between a new mom and medical resources. Doulas, community health care workers, home visit nurses, trusted community members and health ministers all serve as a link and lifeline for mothers. If an African-American mother in Tacoma, for example, attends a peer-to-peer breastfeeding or parenting group supported by a public health representative, her peers are more likely to attend because of the already established trust among those local mothers and peers. That’s why Lea Johnson, public health nurse from the Tacoma-Pierce County Health Department, works with a network of African-American churches providing ‘health ministers’ to pregnant and new parents. The network is made up of 28 churches and dozens of volunteers. The role of a health minister is to get information from nurses and take it into their communities and congregations where trust is already strong and where members feel culturally safe. “It takes a lot of different ways to reach pregnant women,” Johnson said. The community-driven approached helped a 20-year old pregnant woman, who was new to town, meet a group of mothers and share her fears about having a baby. The group she attended included a public health nurse, a breastfeeding peer counselor, a local health minister and local mothers with babies. They introduced her to a childbirth education class and scheduled home visits with a breastfeeding counselor. Kutz said another way to build trust in these communities is create a safe space to discuss the racist and historical traumas each group has experienced. The term for this is ‘generational clarity’. Kutz said it’s the idea that historical trauma happened. It means having conversations with the community about how this trauma affected future generations. Basically, addressing historical trauma may help address the deeper problems that exist behind things such as infant mortality. During the panel, Inslee said generational clarify might be an important part about getting to the root of this disparity. “I think it’s a pretty profound idea,” Inslee said. Hunter said the trauma children experience changes their genetic expression in an inheritable way. But reducing that trauma is also inheritable. Basically, if you can reduce trauma in a group through various interventions, like home visits and building trust in communities, then the kids live longer because the parents experience less stress from historically racial systems.